Sigma has announced that it is developing its own full-frame mirrorless camera, which will go on sale in 2019. It will use the L-mount, which it is working with Panasonic and Leica to promote. Sigma's own full-frame mirrorless camera will use their own sensor – using the Foveon technology that it has used in its existing range of cameras. The L-mount camera would go on sale in 2019. 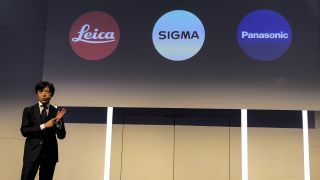 Sigma will not be developing any new SA-mount cameras – which will allow them to concentrate on the development and production of their full-frame L-mount mirroless camera at its own plant in Aizu, Japan. Even if production of Sigma SA mount cameras is finishing, Sigma is committed to supporting its existing camera users. So the Sigma-mount lenses in its range will continue to be produced and sold, for at least the time being. Sigma are to make it easy for people to convert to its new L-mount camera (or Panasonic or Leica's for that matter). It will produce a converter for Canon EF lenses to be used on the L-mount. And it will also produce an adaptor to enable use of Sigma SA mount lenses on L-mount full-frame cameras. Sigma will have more lenses for the L-mount cameras than any other manufacturer next year. It is committed to offering no fewer that 14 L-mount lenses next year. These will be the lenses that are currently produced for Sony's E-mount. Other L-mounts will follow. Sigma will be offering a mount conversion service next year – so if you have a compatible Sigma lens, they will adapt it for you at their service centres for use on the new family of L-mount cameras that will go on sale in 2019. Sigma already runs a mount conversion service for a wide range of its lenses, the cost in the UK is £240 or £390 depending on the focal length.